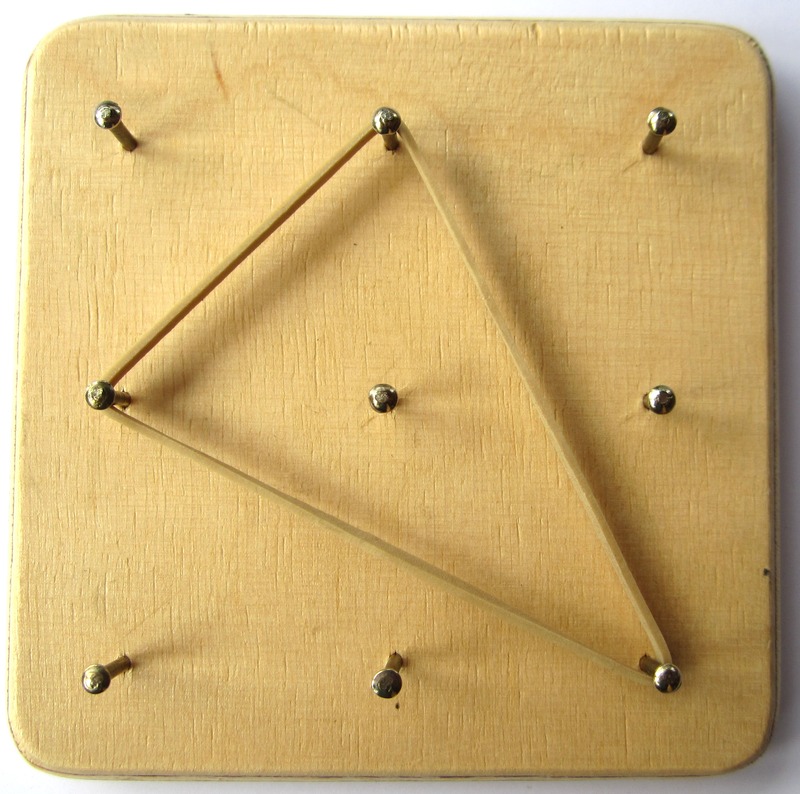 A geoboard is a mathematical manipulative used to explore basic concepts in plane geometry such as angles, perimeter, area and the characteristics of triangles and other polygons. Initially it consisted of a physical board with a certain number of nails half driven in, around which are wrapped rubber bands. 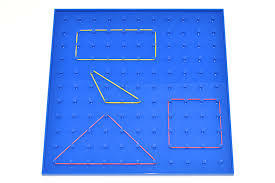 Geoboards are now usually made out of plastic. They may have an upright square lattice of 9, 16 or 25 nails or more, or a circle of nails around a central nail. 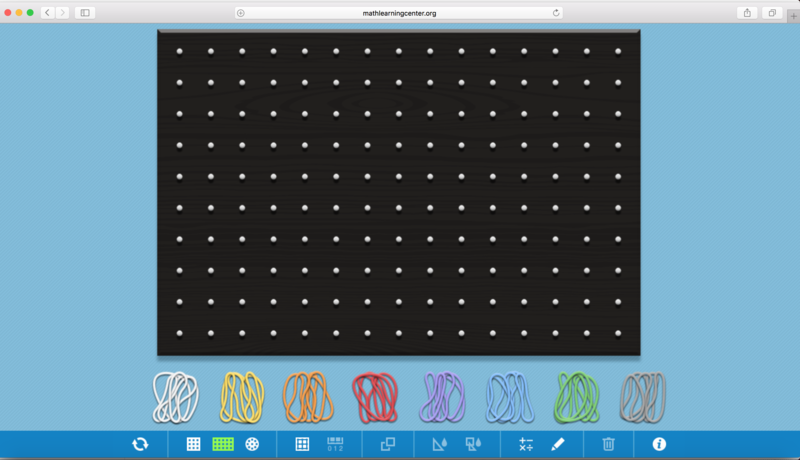 Now there is an app on apple store called “Geoboard” and also a web app. 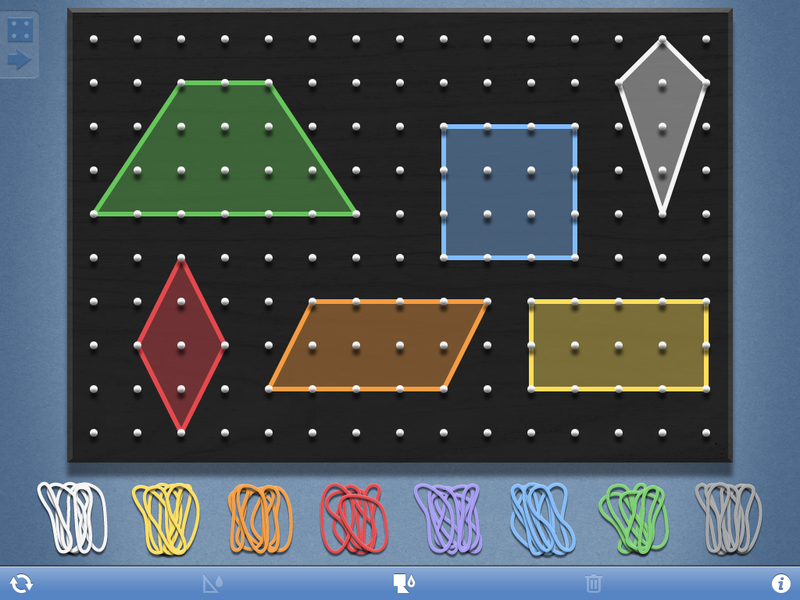 It can be used to create line segments and polygons by stretching bands around the Geoboard’s pegs. There are 5 different band colors; 8 band colors on the iPad. An additional feature is being able to use the drawing tools to annotate work and show understanding and also write equations and expressions with the text tool. Students are asked to place rubber bands around the nails to explore geometric concepts or to solve mathematical puzzles. My students knew how to use it the moment they opened it on their iPads. I suggest you give it a try Math teachers. أتمنى لو أنني استخدمت هذا التطبيق عندما كنت في الابتدائية.